The Copper River is marked on the Highway 16 bridge as "Copper River" but on maps will often be listed as the "Zymoetz" River. 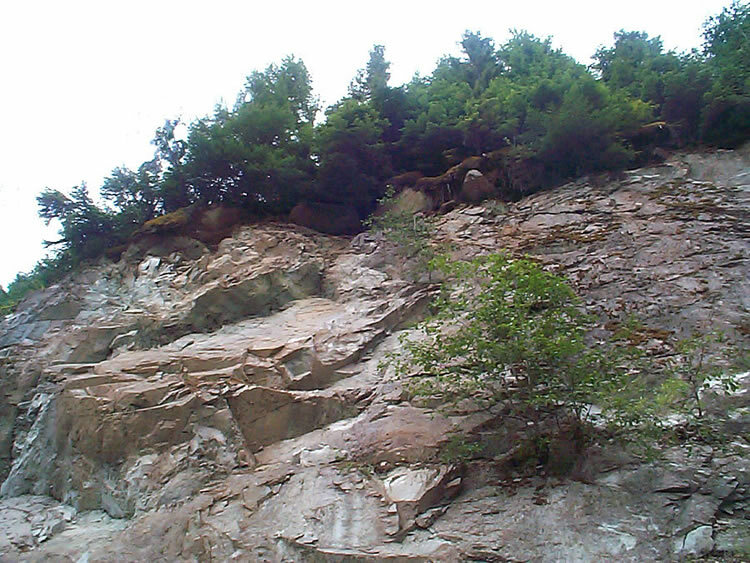 This photo shows the exposed roots of small conifers, where the soil has been torn away, two years after the avalanche of June, 2002. Photo taken on a very overcast July 4, 2004.